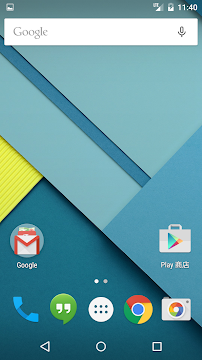 [Android] LG Nexus5(hammerhead) 官方 Android 5.0 L Lollipop ROM(LRX21O) 刷機教學 | Smallpig01`s 玩物上誌!! 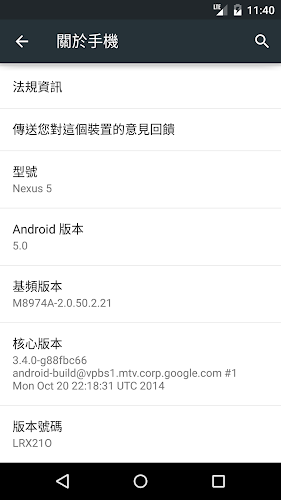 廢話不多說, 基於 LG Nexus5(hammerhead) 官方 4.4.2 ROM(KOT49H) 刷機教學 這篇刷機文章, 重新整理並提供 Nexus5 Android 5.0 L Lollipop 的刷機方式, 留個紀錄提供給大家. 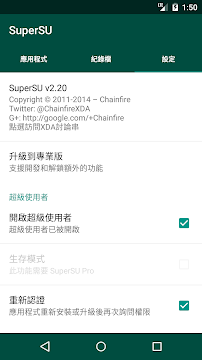 一樣的, 詳細的 Unlock、ADB 指令在此就不贅述, 請大家到網路找資源, 這邊就簡單提供檔案下載連結、刷機步指令, 若想知道全部的指令可以參考官方壓縮包裡面的 flash-all.bat 指令說明. 解壓縮 "CF-Auto-Root-hammerhead-hammerhead-nexus5", 並於 fastboot 畫面中執行 root-windows.bat 即可. PS. 於 Step4 時 Recovery 會還原成原廠狀態, 若有需要, 請重新執行 Step3 改成 TWRP Recovery.